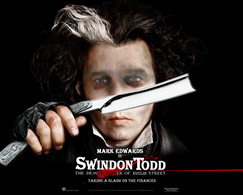 » Blog Archive » Swindon Todd & Chums: Hacking Their Way Through Your Money? Politically speaking, February 2010 was the month Swindon’s Conservative councillors once again lined up loyally behind their leader and his cabinet and voted for a budget which, as several Tory councillors commented at the time, was reckless and almost certain to fail and fail badly. I think Mr Edward’s budget was doomed to failure from the off and was politically designed to get Swindons Conservative group, (and Roderick Bluh in particular), safely, if shakily, through the 2010 local elections. It was obviously a risky budget, (Edwards admitted that himself), that was unlikely to ‘have legs’. It looks to me like Roderick Bluh, Dorcans Darling, has forgotten who his employers are, who pays his ‘allowances and expenses’, who he was elected by, and who he is supposed to be serving so I thought we should remind him that we, his employers, the people that pay him, do take an interest in what they claim in expenses and allowances, and that we, the people he says he ‘wants to serve’ also want to know whether their councillors are greedily ‘serving themselves’ from the trough i8n the Westminster fashion or are being fair ans sensible. …only a few hours after I’d submitted a freedom of information request to Swindon Borough Council (via the very excellent and free of charge ‘What Do They Know?’ Freedom of Information Service ) to find out whether Bluh & Chums have been practising what they are now preaching. I’ll obviously be publishing the answers as they arrive, but in the meantime it’s worth considering that only one of Swindons 59 councillors has voluntarily published their allowances and expenses claims for 2009. The rest of them presumably don’t want to talk about it…….